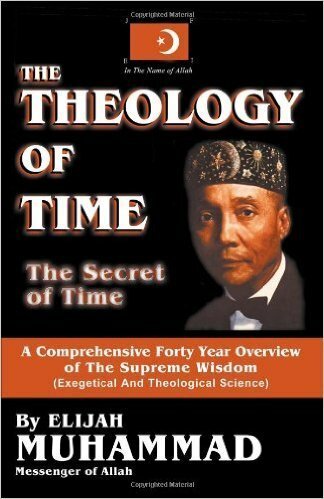 The Theology Of Time (The Secret Of Time) Direct Unabridged Transcription By Elijah Muhammad The Theology of Time is a 20 lecture book. The lecture series ranged from June thru October 1972. It wasn't uncommon to either hear him on radio broadcasts or one of his ministers. Having been prohibited to speak by Allah up to this point, this represented a significant occasion. Elijah Muhammad covered a wide and comprehensive overview of his entire program, concepts and lessons. This is by far the most wide ranging example of his teaching. Many of the subjects he taught was scattered over the entire period, which is why in this direct transcribed version is made available; thus leaving the subjects in the exact order the Messenger taught them. There is also a subject-Indexed version, which grouped the subjects together instead of leaving them scattered (see ISBN 1884855628). Both are complete!